Chandigarh is one of the major cities in the region is rising up to the growing demands of urbanism and in the wake of the development; a few smaller cities like Zirakpur are emerging as the commercial hotspots. The city is strategically located connecting Punjab, Himachal Pradesh, and Haryana; this is a confluence of culture and promises better business environment for obvious reason, the newly build international airport is adding to its lure. New shopping malls, hotels, and brands are finding this city quite alluring thus making a beautiful city to live. The real estate market is quite affordable; a 3BHK flats in Zirakpur will cost you around 1.2 Cr and a 2 BHK flat will cost you somewhere in between 45 and 50 Lakhs. Well, that is an approximation the price depends on the locality and quality of the amenities. The real-estate price in Chandigarh has gone down substantially in recent times; in 2003 the cost of the land amounted to Rs 6.400 per Sqft and at present, it is trading at Rs 5200 per Sqft and is expected to stay stable in this year. If you believe in statistics and data, then this is a good time to invest money on real estate in Zirakpur because here the property price stands at Rs 3, 831 per Sqft and that is the price for the highest quality property. Various researchers show that the city is heaven for business making it an ideal destination for both commercial and residential buyers alike. The lifestyle here does not reflect the small town flavor. With the growing number of malls, hotels and market complexes the city offers an opportunity for a tranquil, yet a cosmopolitan lifestyle. And of course, it is a rare combination. The rules in the state are stringent, as the city fights the drug abuse issue that is too rampant. It has laid out clear-cut rules for offenders; in addition, Chandigarh is also following the footsteps of Singapore as it limits the cars on the road. Although the property market in Chandigarh is stable, the prices are in Zirakpur is fluctuating; therefore, make sure that before you buy any property you check the current price trends. The prices can vary depending on the locality. So, carefully choose the property. You can buy property through online real-estate companies that are operating in the market. You also have the option of buying through brokers or real-estate agents that are operating in the region. And in either of the cases, you will have to have adequate knowledge about the property trends. The city is promising; the newly built highway also facilitates business ventures; hence, weigh your options, and plan appropriately before you set out invest money in property. It is advisable that you speak with your financial advisor to help you in planning the buying process. If you do not have such options, then rely on online resources. The bottom line is; this is a great time to buy 3bhk in Zirakpur for both commercial and residential purposes. So, arrange the funds and find a real-estate agent that can give you better deals. 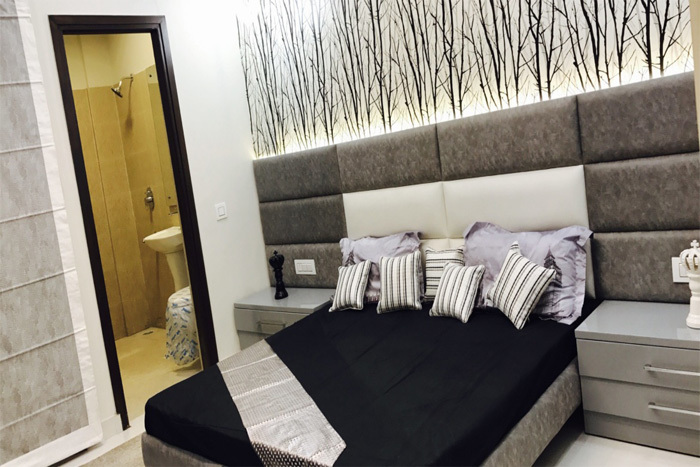 If you are looking to buy a 3 BHK luxury flats in Zirakpur, You are welcome to BlissOrra- leading real estate owners in the region providing 3 bhk luxury flats in zirakpur. Contact now to book your dream home on 9115530110.